Last week we talked about a daily skincare routine, for men or women, that can benefit our skin during any season. Today I am here to touch on a step you can add to your weekly routine, between cleansing and toning. It is perfect for normal to dry skin types, yet anyone can benefit and below I will let you know how. The only skin type that should feel weary is acneic, but we will talk more in detail about that later down the line. My favorite skin care products are the ones that you can create at home. They are cost efficient, usually quick to whip up, and although it may take longer, they can definitely treat your skin problems as well. In a nutshell, this scrub is great for exfoliation that won’t strip too many natural oils from your facial skin yet will still penetrate those pores that need a little deeper attention. If all of this sounds like what you are looking for, or even if you decide you want to alter it to create your own scrub, continuing reading below to learn the recipe and benefits of this easy to create DIY sugar scrub! Before going into the details of how to make this exfoliating Lavender scrub, let’s talk about what each individual ingredient is doing for your skin. I know what you are thinking, how could sugar, especially white sugar, be beneficial? Isn’t that something we are all supposed to run from? Well, if we are talking about nutrition, sure, run away, run far away! Yet, we aren’t we are talking about your skin and that is a completely different story. Sugar is a natural humectant. If you don’t know what a humectant is, don’t worry, I didn’t either until I started school for Estiology, and that’s why I am here, at your disposal, to expand your knowledge about your own skin. Anyways, being a humectant is my favorite feature of sugar. It is what seals in the moisture and hydrates your skin. Meaning, it works hand in hand to lock in those nourishing ingredients you will find in the vitamin E, lavender, and coconut oil included in the recipe. Another benefit of the sugar is pretty obvious, it’s an amazing exfoliator, but you probably already assumed that one. 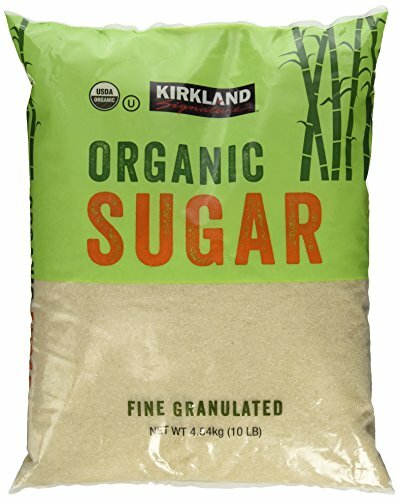 Being that it is a fine sugar (and hopefully organic. Hint, hint.) it will not be too harsh on your facial skin as opposed to a larger grain sized sugar like brown or sugar cane which can tare your skin up. Please make note of that when choosing what to use in what kind of products and only use larger grains for less sensitive areas like your hands or feet. Acne scarring be gone! Thanks to the lavender oil in this scrub, it will help diminish hyperpigmentation caused by acne scars and even heal broken skin. Lavender not only accelerates healing but also fights bacteria and has anti-inflammatory properties. Along with those benefits, you will also find it naturally detoxes your skin, cleaning out your pores and penetrating past the surface to help bring out any underlying dead skin and dirt. First of all, I will be honest, the opinion on coconut oil and it’s compatibility with facial skin varies. Since the oil is comedogenic, which means it can clog your pores, some stray from using it. If you do have extremely clogged pores or highly oily skin, maybe this scrub is not for you. Yet, even if your skin is congested you could try it out to see how you like it. As long as you are cleansing before and making sure to wash it all off completely, you should be good to go! As someone who has dealt with cystic acne before, I found that adding coconut oil to my skin routine helped clear up major breakouts. I added this oil to my scrub because not only will it moisturize, but it is also antibacterial, so it helps add a protective barrier against the funk our skin comes in contact with on a daily basis. Although this scrub is perfect for most skin types, anyone who has again concerns will love it! With the addition of Vitamin E oil, this scrub provides a defense against free radicals due to the oils antioxidant properties. Fine lines, wrinkles, and scarring will all diminish after adding this ingredient to your life, whether it’s by this scrub or just topical application. Now that we have gone over what is inside this awesome moisturizing face scrub, check out the recipe below and get to scrubbing!!! If you guys try this scrub out or alter it to make your own recipe, comment below and let me know how it works out!! !